SEMA is the biggest aftermarket automotive event in the world, held in Las Vegas every year in November. The show fills multiple convention halls and shows off everything from high-performance OEM specials to custom wheels and graphics from local shops. Here, automakers and suppliers are up to at the industry’s biggest trade show. Everyone knows that the SEMA show is a once-a-year opportunity to learn about the latest innovations in the aftermarket industry, listen to the most important thought leaders and get the kind of information on our business that we won’t find anywhere else. We’ve been attend the SEMA show for years, and last year two of our shop cars were attend as feature vehicles. But this year, we became an exhibitor to have a chance to show our products. This is an impressive experience for us and also a new start. This year, the SEMA show starts from Nov 3rd to 6th, 2015 at the Las Vegas Convention Center (LVCC). 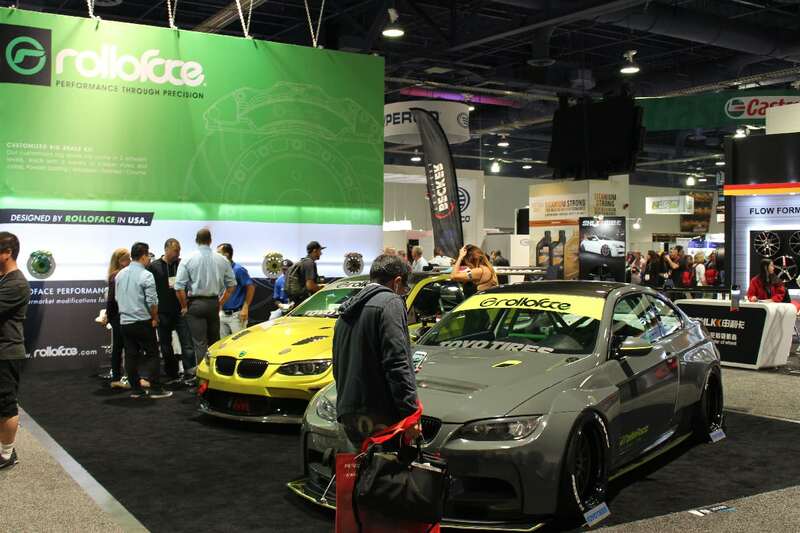 The 2015 SEMA show attracted more than 140,000 exhibitors, buyers, media and attendees. We were extremely honored to be one of them, and our booth was at the Upper Level South Hall, and booth number is 30295. When you around our booth, the big billboard will attract your eyes. The whole design of our booth is pretty classic – simple and clean. Then, two crazy modified BMW E92 M3 stand out. One is “The Red Dragon” with our Big Brake Kit, coilover, racing seat, aero parts and ZR-1 wheels, but this time, it becomes “ The Golden Dragon” with new vinyl wrapped by Impressive Wraps, and the other booth car is “The Hulk” with our the newest RF GT3 Wide Body Kit, Big Brake Kit, coilover and ZR-1 wheels. Also, we had 5 sets of Big Brake Kit hang-up on the wall at our booth. We are really excited that there were so many people interested in our new colors and design of the BBK. We were glad to see that people likes our products while our model and sales were patient to answer all questions from customers. 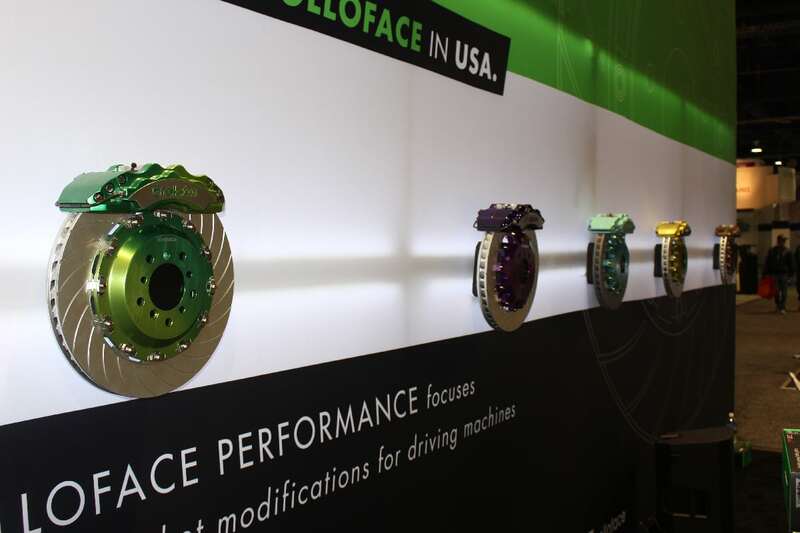 With nearly 3,000 products in the 2015 SEMA show new products showcase, this is an easy way for buyers to see the latest hot products and eye-catching trend in the market. 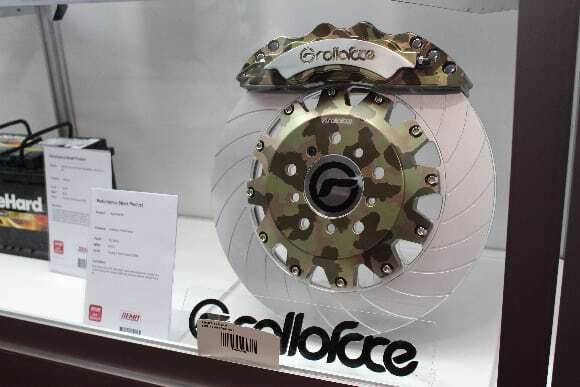 While the media also headed straight to the new products because everyone wants to know the trend, we exhibited our ZR-1 3-piece wheel and 2 sets of Big Brake Kit, includes street use SE Series and racing use SR-C Series. 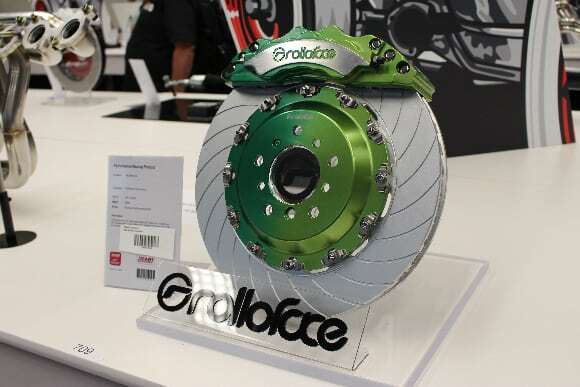 Both Big Brake Kit are fully forged caliper with 8-piston front and 6-piston rear. Buyers could customize their own kits from choose their colors to caliper set up. We also got two “2016 Global Media Award” with both set of BBK in the new product area. SEMA official said “nearly 90% of buyers plan on making a purchase after the SEMA show, making prompt follow up with customers and leads a post-show must”. This is a good news for both buyers and exhibitors. The SEMA show makes a good nationwide connection between both buyers and exhibitors.